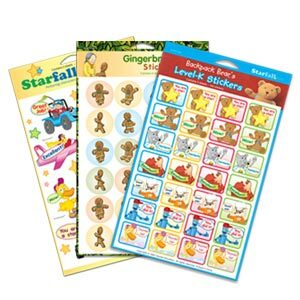 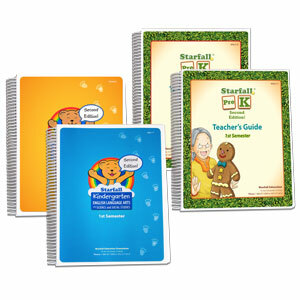 Teachers always appreciate Starfall gifts for their classroom! 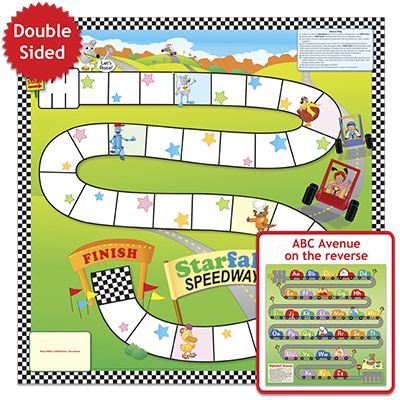 Starfall Speedway and Alphabet Avenue are great games for children to practice phonetic strategies and word recognition. 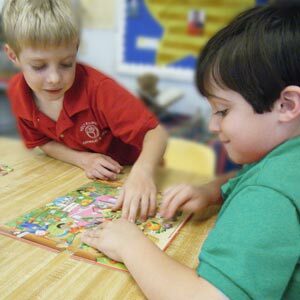 Any kindergarten teacher would love to have this game set for their students. 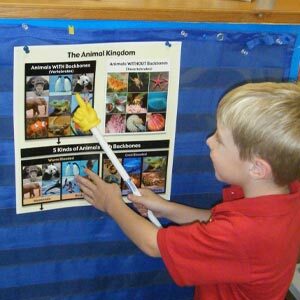 Great for a first grade classroom! 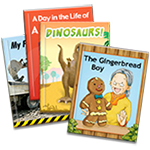 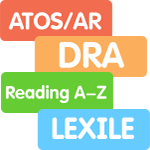 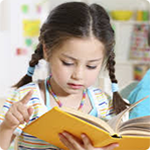 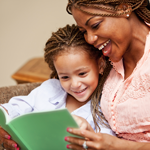 Children read their parts, gaining confidence in reading aloud. 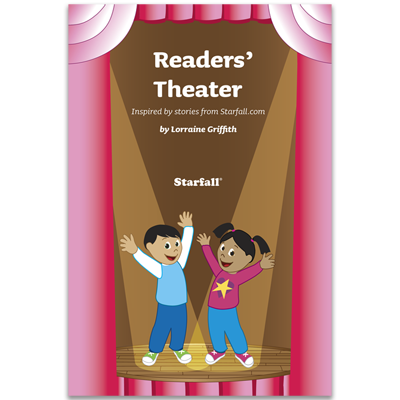 Plays are based on favorite Starfall stories. 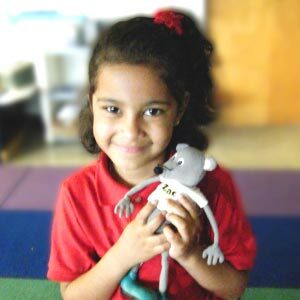 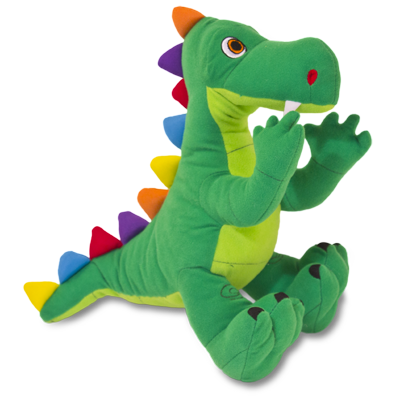 A wonderful plush addition to the classroom, Dragon is featured in various Starfall stories. 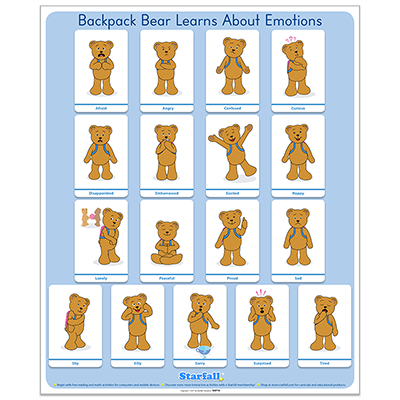 Teachers can use Backpack Bear's Emotions Poster along with the Emotions Cards to help children develop social skills. 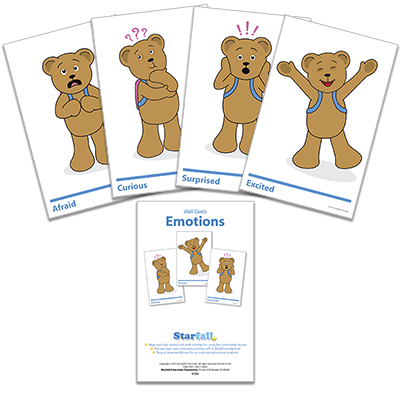 Children name the emotions by interpreting Backpack Bear's expressions and gestures. 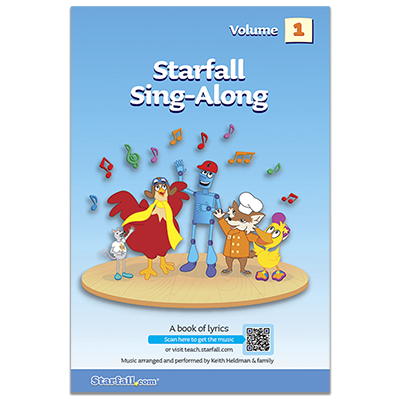 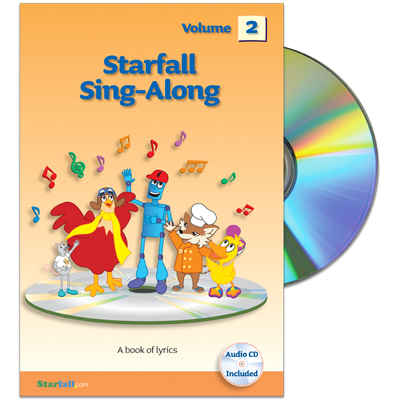 Starfall brings a wide selection of music to your classroom to make learning fun!